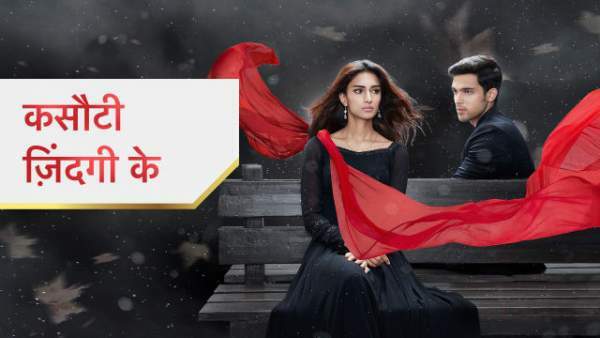 Kasautii Zindagii Kay (KZK) Season 2 23rd January 2019 Written Episode Update: Anurag realizes his feelings for Prerna! Mishka takes her hand forward and Anurag puts over the ring. It’s time for Mishka put on the ring. And the engagement ceremony gets completed. Prerna leaves from the place and Anurag is looking at her. Anurag is trying to go to Prerna but everyone is coming to congratulate him. Prerna leaves and feels really sad about Anurag’s engagement. She recalls the moments spend with Anurag. She is crying after recalling the engagement ceremony. She also recalls the wordings said by Komolika. Anurag is finding Prerna but feels sad after not being able to see her. He looks at his engagement ring and on the other side, Prerna is recalling her special memories with Anurag. She is crying after getting separated from Anurag. He thinks that after getting engaged also, I’m thinking about Prerna. He recalls when Anupam says that he is in love with Prerna. He is also recalling the questions as discussed with Moloy. Anurag realizes that he is in love with Prerna. He is sure about the fact that he is in love with Prerna and suddenly, Prerna’s photo falls down on the floor in his room. He recalls when he was with Prerna and feels special about it. He recalls when Prerna said that when you will realize that you’re in love, then you’ll feel really special about it. He accepts that he has fallen in love with Prerna and talks with her photo. He is, again and again, saying that he is in love with Prerna. Prerna feels that Anurag has said something. He thinks that he is going to confess her love to Prerna. He feels that he doesn’t love Mishka and is worried about the engagement. He feels stupid that he engaged, but he thinks to tell this to his mother. He wants to break his engagement with Mishka and tell to Prerna about his love. Mishka is talking to Komolika that Prerna should leave Anurag’s life. Komolika says that you’ve got engaged and Anurag will not break this promise to you. Anurag is feeling really happy and is going to meet Prerna. Prerna is walking and feels sad about the fact that she didn’t confess about her love to Anurag before. He is also worried that when he will confess his feelings to Prerna, then how will she react! Prerna is thinking that nothing can happen now and it was just from my side. Moloy gives a drink to Rajesh and asks him to join his sadness. Veena questions about what happened? Moloy says something, but Rajesh asks him to stop his thoughts. Moloy says to Veena that I told Rajesh to get Anurag engaged with Prerna. Shivani takes Moloy’s side and asks about her father’s denial. Mohini comes and asks Moloy to stay with Siddhant Chaubey on this occasion. Moloy leaves with Mohini. Prerna comes down in a really sad mood and Anurag wants to talk with her. He smiles after seeing her and comes to her. Precap: Mishka burns Prerna’s photo kept in Anurag’s room. The photo burns the curtains as well and the fire spread all over in the house. Anurag hugs Prerna and says that he loves her! Stay tuned for Kasautii Zindagii Kay 2 updates. Previous articleKumkum Bhagya (KB) 23rd January 2019 Written Episode Update: King gets jealous to look at Abhishek getting close to Pragya!